Is this, indeed, our tentacle-vore future? This curious rustic scene is a reblog from this 8 September 2015 post at Infernal Wonders. It was shown by a little research to be a detail from a cover of a German pulp magazine (how’s that for a scary concept?) Geister-Krimi. 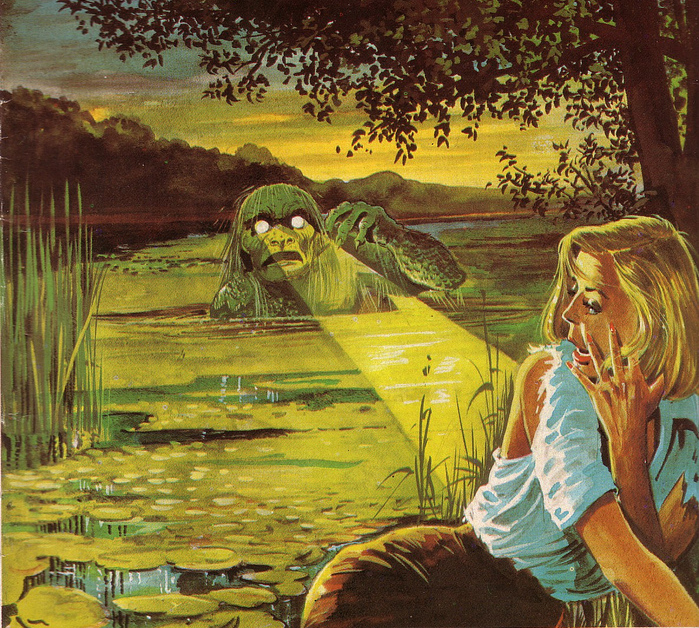 “The Water-man comes Friday night.” Maybe it’s scarier in the original German.